Last week, I received a message from Microsoft Serbia on an opportunity to speak at its yearly Sinergija event in Belgrade on October 20th and October 21st 2014; An event, a Microsoft subsidiary and a country with an extensive legacy and rich heritage. Readers of my blog in this region will be happy to know that I’ll be able to provide two learning opportunities on Windows Server and Active Directory during this event. 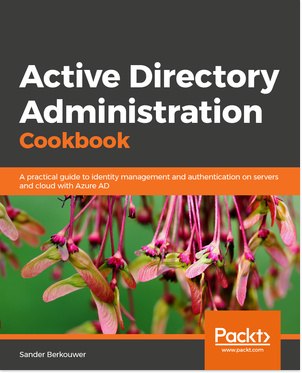 Active Directory Federation Services (AD FS) are the Microsoft technology to bridge your on-premises Identity systems towards cloud Identity providers (IdPs) like Azure Active Directory. Colleagues depend on a reliable, yet cost effective deployment of AD FS and it’s our jobs as IT Pros to make it happen. This session covers the 10 most common mistakes we see in the field in organizations that have deployed AD FS. Learn from their mistakes, whether you’ve already deployed AD FS and want to make your implementation more robust, or are holding off deploying AD FS to not step into these pitfalls. Learn the common mistakes when deploying AD FS, how to properly design an AD FS solution and how to deploy AD FS correctly. Although Microsoft has been discouraging people to virtualize Domain Controllers, many companies have done this with mixed success. From Windows Server 2012 onwards, Active Directory Domain Services embrace the Virtualization Machine Generation ID (VM-GenerationID), offered by today’s virtualization platforms to make Domain Controllers safe(r) to virtualize. The VM-GenerationID technology also unlocks a much sought after feature: Domain Controller Cloning. This session goes in-depth on virtualizing Domain Controllers and gives you actionable advise to virtualize your own Domain Controllers safely. Register for Microsoft Sinergija 2014.